OCEANSIDE — The Oceanside Harbors and Beaches Advisory Committee has determined the potential cost savings associated with outsourcing harbor operations are not sufficient to outweigh long-term risks that could arise if the city handed over control of the municipal harbor and marina’s facilities to an outside agency. During a special meeting March 21, committee members unanimously expressed the opinion that there was simply not enough savings in such a plan to recommend that the Oceanside City Council continue looking at outsourcing harbor maintenance. City officials last year looked at proposals to outsource harbor operations to a private marina operator, in an attempt to save money. Harbor and Beaches director Frank Quan sent out a request for proposals to private marina operators on Aug. 28, 2012, to determine if there would be a cost savings to the city if the municipally run harbor’s marina operations were outsourced. 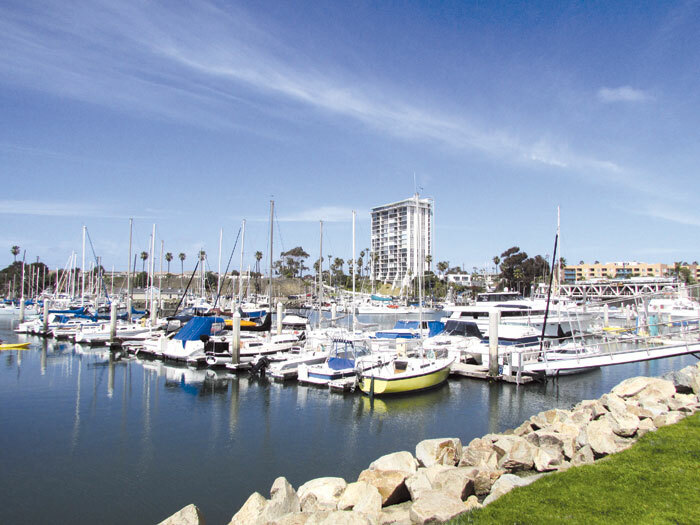 Oceanside city staff members reported that California Yacht Marinas of Torrance was the highest scoring firm, in its assessment. The staff reported that outsourcing operations to the marina operator would save the city 2.5 percent in harbor operation costs. The company’s proposal showed a city savings of $148,249 in the first year, according to staff reports. However, the potential 2.5 percent savings was not enough to convince the advisory committee that it was a good idea to hand over harbor maintenance duties to a private company. Committee member Jim Jenkins questioned the impact that outsourcing city jobs would have on city residents, since it appeared the contracted company would be hiring subcontractors to do work that city workers are already doing well. Twelve city workers could lose their jobs if harbor operations are outsourced. However, some could possibly be rehired by the selected company, Quan said. Quan explained that the city council could recommend that the selected management company use Oceanside contractors. The city’s Request for Proposals also specified that the selected management company would not be allowed to raise slip fees if the slip vacancy rate went below 90 percent. After five years, the company would be able to raise fees to an average (non-yacht club) rate charged by marinas in San Diego Bay, Mission Bay and Dana Point. Current rates in Oceanside for slips 29 feet in length and smaller are $13.10, with the average in other areas at $14.82. Oceanside rates for slips 29 feet in length and larger are $14.30, with the median rate at $17.51, Quan said. Jenkins warned that boaters were under the understanding that the slip fee increases were required to cover the operation and maintenance costs of the harbor. He worried that slip holders may have grounds for a class action lawsuit if the harbor maintenance operations were outsourced. In past discussions regarding the outsourcing debate, advisory committee members expressed concern that adding another level of management between the city and slip tenants would mean additional costs for boaters. They also questioned why the city council did not introduce its plans for outsourcing harbor operations at the time the city approved a $3-per-foot slip increase last year, which was said to be needed to meet increasing harbor operation costs. The request was made in response to the Oceanside City Council’s directive that the city staff look into outsourcing possibilities — including the city’s libraries, street sweeping, the solid waste division, fleet management, parking enforcement and the harbor. Last September, representatives from Almar Pacific, California Yacht Marina, Marinas International, Dana Point Marina Co., Harbor Island West Marinas and Pacific Marina Development attended the city’s meeting for companies interested in running the harbor’s marina operations. City staff received four proposals in October, rejecting one that was deemed incomplete. Three companies were interviewed by a panel composed of city staff members, representatives from Orange County Dana Point Harbor and the PFM Group. Marina International was rejected in January as being “nonresponsive” to the city staff’s request for more information. Oceanside Harbor services are currently performed by city staff members consisting of one manager, one supervisor and 14 employees — including an accounting technician, nine maintenance workers and an electrician. Boater David Albert was among the speakers who asked the advisory committee to vote against outsourcing. “There is more than adequate information to do what the committee has been asked to do today — and that, according to the information provided, is to cease and desist (outsourcing plans),” Albert said. If the city opts to select a private company, it would be required to manage and maintain Oceanside Harbor’s existing boat slips, eight boater service buildings, public restrooms and parking lots, and a portion of the harbor landscaping. The city council is scheduled to vote on the harbor outsourcing option at its April 3 meeting.